Here’s Google Wallet running on a Samsung Nexus S.
Samsung and Visa have a new agreement that will let you make credit card card payments using Near Field Communication (NFC) chips in next-generation Samsung devices.The announcement doesn’t mention what the next-generation Samsung device is, but it’s safe to assume Visa is talking about the Galaxy S IV, which will be announced at an event in New York on March 14. The agreement gives Samsung access to Visa’s PayWave system, which lets you load up your credit card information and pay for stuff by tapping your phone on a special pad. 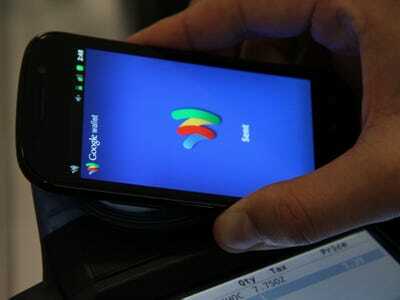 It’s very similar to Google Wallet. However, it’s unclear if the feature will be available on all U.S. models of the Galaxy S IV. Verizon, AT&T, and T-Mobile each have their own mobile payments system called ISIS and have a history of blocking other NFC payment apps like Google Wallet. We’re expecting to get more details and demos when Samsung formally announces the Galaxy S IV.